Beryl crystal in situ in the Brattekleiv quarry. One of the more famous quarries in the Evje-Iveland district. Andersen (1931) designation of the quarry: "Lauvland IV (Brattekleiv)". Brattekleiv is known for excellent finds of beryl, columbite and monazite. Arild Omestad from the Beryllen Mineralsenter (finally closed 2017) leased the quarry for several years and extracted many good specimens. 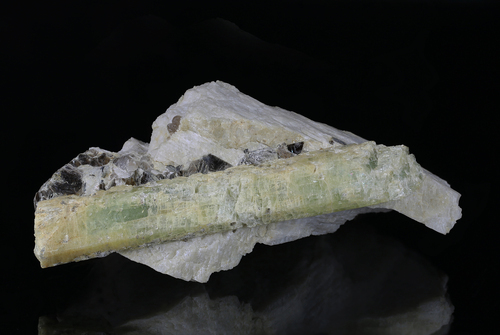 Especially attractive were the combinations of beryl with columbite and/or monazite. 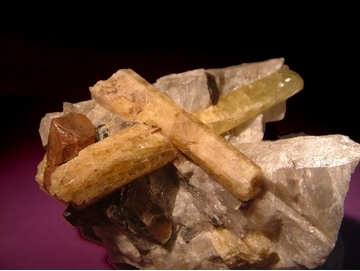 Milarite was found in excellent micromount crystals, as clear, thick prismatic crystals, and is assumed to be an alteration product of beryl. The quarry is far from empty, and there are plans to make material from the mine available to mineral collectors in 2019. 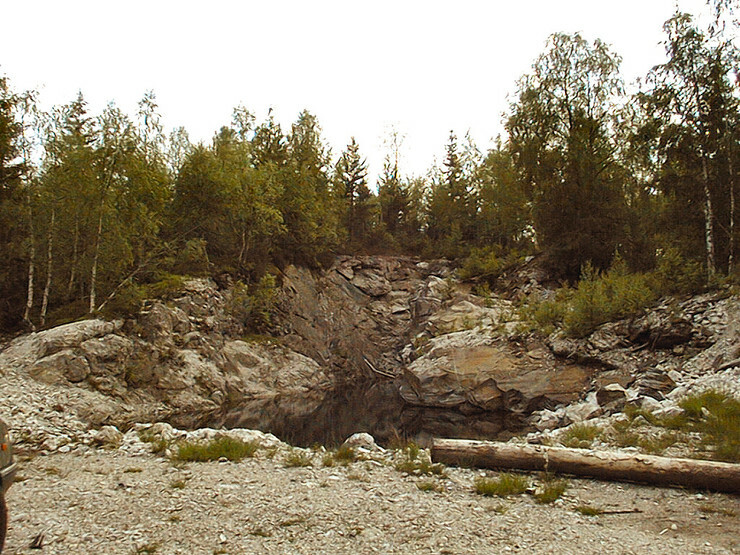 Under no circumstance should collectors visit this quarry, unless they have explicit permission from quarry owner Vasland, who lives at Lauvlandsveien 270. 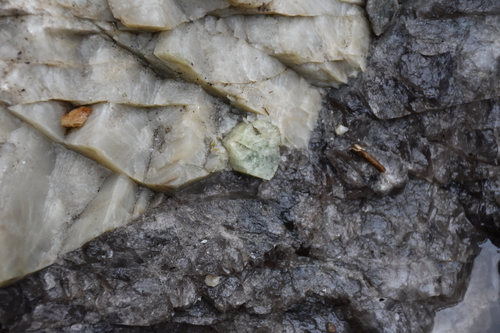 "I guided two foreign groups in June 2018 to the quarry together with quarry owner Tor Reidar Vasland, and both groups managed to find several nice samples. 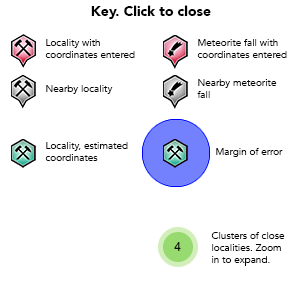 Additionally I guided a group of students of the University of Bonn and later a german geologist, and also all of these people found some beryl. Vasland has samples for sale for those who are less fortunate or want a higher quality sample".